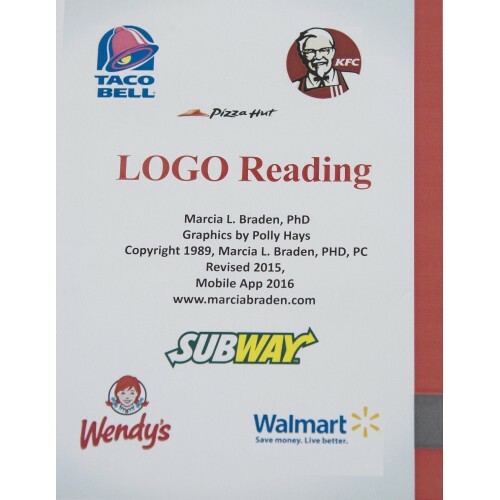 Using popular logos from fast food and department store chains, this system develops a sight-word vocabulary. Logos are faded in a way to preserve the words within the logo and eventually, after a gradual fading procedure, the student is able to identify basic word cards, rhyming words and phrases. Includes instructions, pre-tests, logo flash cards, sort cards, placemats, logo worksheets, writing sheets and phrase cards.